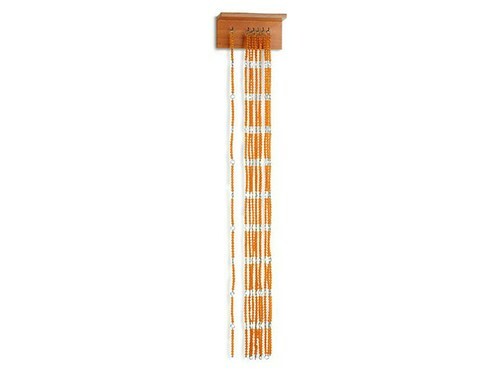 This material consists of: a) ten golden bead bars of ten linked together to form the hundred chain; b) ten golden hundred chains linked together to form the thousand chain; c) a wooden wall rack with hooks for hanging the chains. 20x7,5x9 cm. The printed notes of this Montessori presentation from our CME Teacher Preparation Course are available for purchase from this webpage. Please search for: Linear Counting Exercises.